Hynobirthing is your essential guide to giving birth the way you want to. It is a childbirth education course that will prepare you to have a safe, calm and positive birthing experience leaving you genuinely excited and completely equipped for birth. I personally believe that too many women enter into their pregnancies and birth with no clear understanding of the normal processes of labour and my goal is to educate women and their partners to feel empowered during their pregnancy and birthing journey. 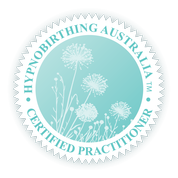 I want to be able to teach women hypnobirthing because I truly believe that is a fantastic way to prepare for labour and birth… Giving birth should be your greatest achievement and not your greatest fear. Want to have a calm & positive birthing experience?